Until your baby is able to replace their own pacifier at around 7-8 months old, they will need YOU to replace it for them because they are relying on the pacifier to fall asleep, so much so, that they aren’t able to go back to sleep without it.... Another challenging sleep prop is rocking your baby to sleep. If they become used to that motion, they won’t be able to fall back asleep when they wake during the night. Pacifiers can also become a sleep prop if your baby can’t fall asleep without it and needs it reinserted throughout the night. 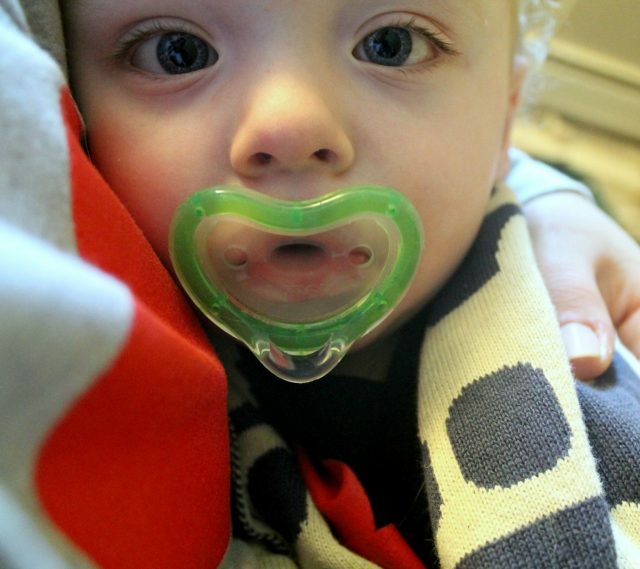 Don't secure a pacifier to your baby with a cord -- it’s a strangling hazard. Get the right size. Match it to your baby’s age to make sure it fits her mouth.